On August 21, 2014, the public trial for the May 28 Zhaoyuan Murder Case was held in Yantai, Shandong. In an article published on the Internet about the case, “Zhaoyuan Murder Case Defendants Confess in Court: I am God,” news.qq.com presented a relatively objective, thorough, and detailed report of the defendants’ confessions. But in the CCTV News 1+1 report titled “Almighty God, How Is He ‘God’?”, they passed off fraudulent information as real information, insisting that the psychotic perpetrators from the Zhaoyuan Murder Case were members of the Church of Almighty God. Using this false information, the CCP fabricated a public scandal to justify their thorough suppression of the Church of Almighty God and other underground churches, while also diverting the people’s hatred toward the Church of Almighty God and away from their crisis of faith in the CCP. These sinister motives are truly horrifying. 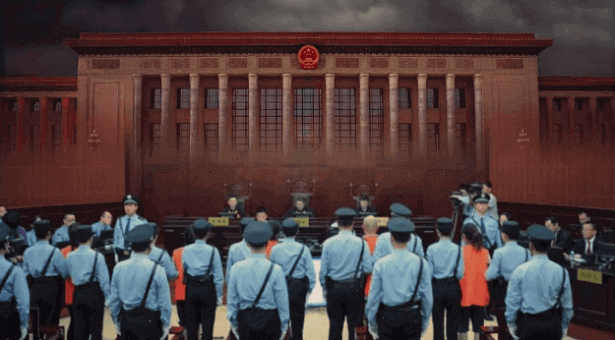 If the CCP can hold a public trial for the homicide case committed by psychotic people，then why won’t it conduct a fair public trial for the June 4 Incident in 1989, in which thousands of innocent students were slaughtered? Over the years, the CCP has conducted all kinds of campaigns, resulting in countless deaths. Why won’t the CCP hold fair public trials? The Chinese people are all waiting for the CCP to hold fair public trials for these stacks of homicide cases, to finally give all the victims and their families an explanation. Why does the CCP refuse to uphold justice and conduct a fair public trial? There are sufficient facts to prove that the CCP had a hidden agenda in holding a public trial for the psychotic perpetrators. It had an ulterior motive! And so this article seeks to uncover the CCP’s malicious intent behind the high-profile public trial of the Zhaoyuan homicide, to clear the names of all those who have been slandered, and give the public a chance to know the true nature of the CCP. Previous：Why Is the Religious World Always Frantically Resisting and Condemning God’s New Work?